Kamrooz Aram will exhibit new and recent paintings, sculptural works, and collages, highlighting the complex position of ornament throughout the history of modern art. 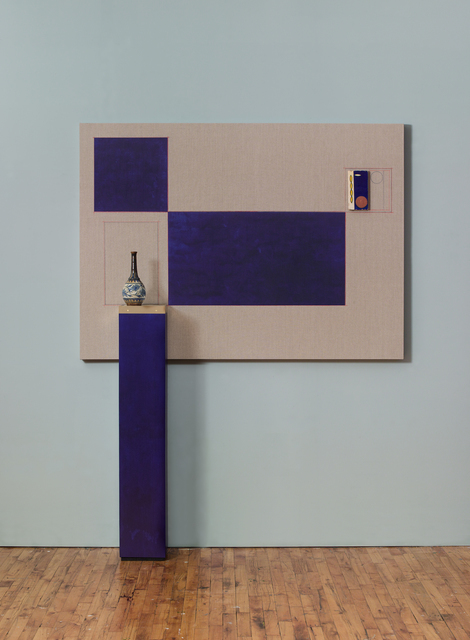 The FLAG Art Foundation is pleased to present "Kamrooz Aram: An Object, A Gesture, A Décor," on view October 27, 2018-January 19, 2019, on its 10th floor. 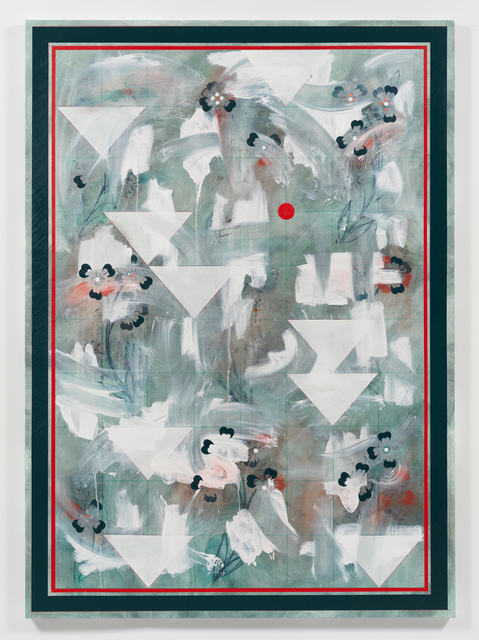 Kamrooz Aram will exhibit new and recent paintings, sculptural works, and collages, highlighting the complex position of ornament throughout the history of modern art. Aram’s works challenge conventional art historical hierarchies that have placed fine art and the decorative arts in separate categories of value: mediating patterns lifted from Persian carpets through gestural abstraction, allowing color field painting to become backdrops for ceramics, and employing wall painting with reference to encyclopedic museums, where viewers typically engage with the decorative arts. Aram’s paintings engage a process of building and destroying the image by layering patterns, geometric forms, delicate line, and heavy brushwork, resulting in complex compositions that appear to be in a state of flux. 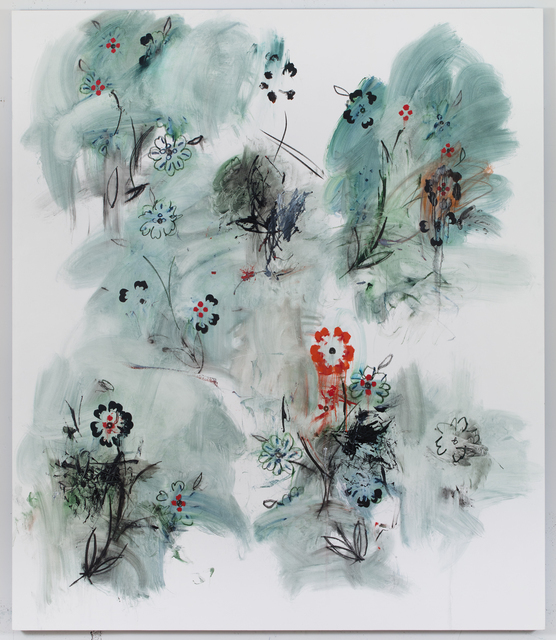 Aram appropriates curvilinear floral motifs from Persian carpets, exploring the ornamental potential in abstract painting, as well as the potential for expression in supposedly decorative patterns. In "Ornamental Composition for Social Spaces 7," 2018, Aram abstracts floral patterns into an all-over design that is neatly concealed under the modernist tropes of penciled grids and geometric shapes. 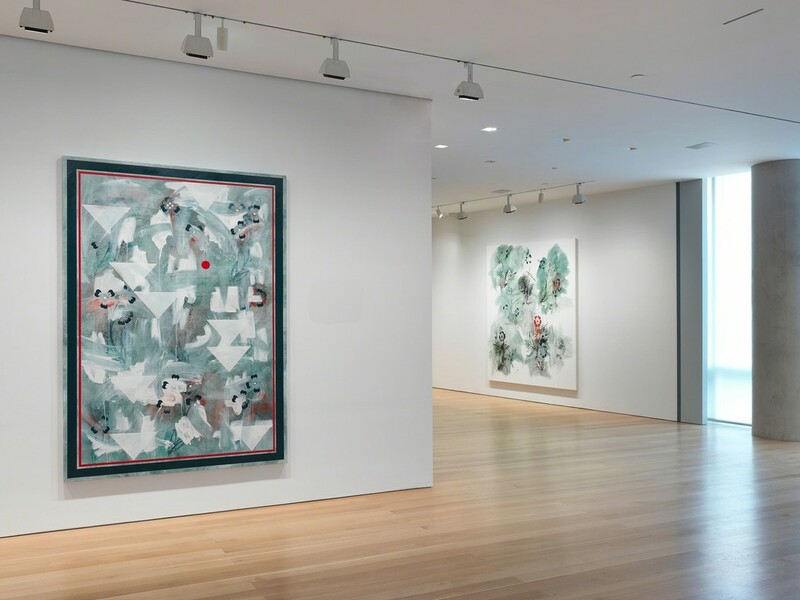 Other paintings, such as "The Rumor Circuit," 2018, "Le Grand Jeu," 2017, and "Counterparade," 2018, utilize the same patterns, but abandon the technical precision of the grid for spontaneous compositions and uninhibited mark-making. 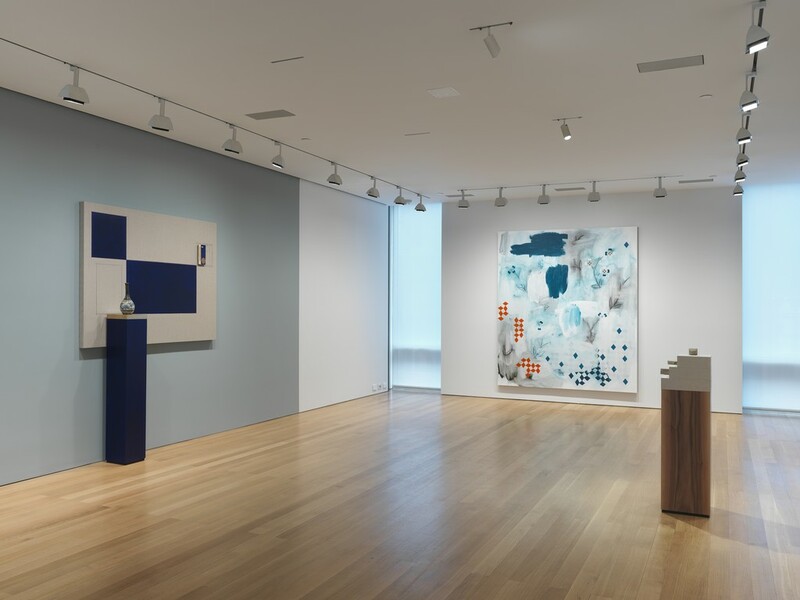 The tension between ornament and abstraction—present in Aram's canvases—is amplified in his sculptural works, which position ceramic objects on pedestals made of wood, brass, and terrazzo, placed in front of painted linen panels. 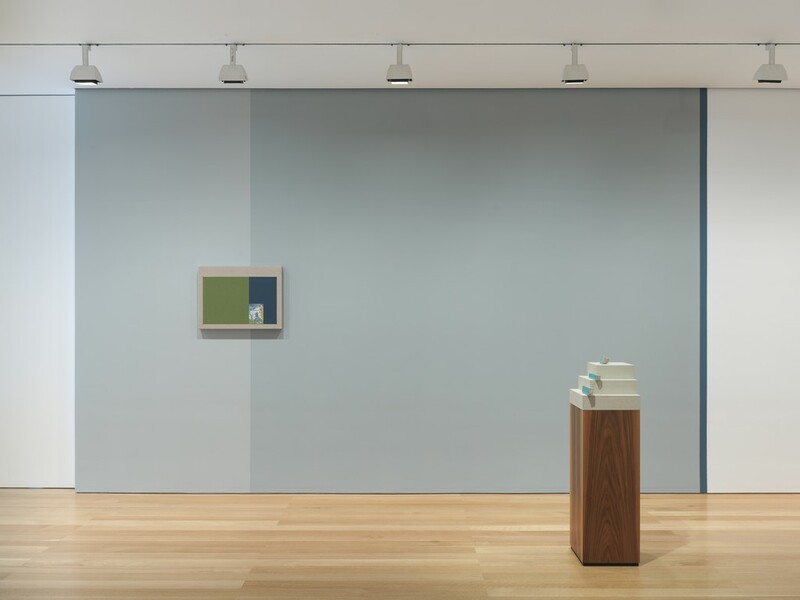 "Blue Backdrop for Minor Arts," 2018, "Composition with Fragments," 2017, and "Green Movement," 2018, evoke a museum sensibility, wherein linen-lined vitrines are commonly used in displays of antiquities. Geometric abstraction and color field painting, hallmarks of modernism, function here as both the backdrop and framing devices for ceramics. 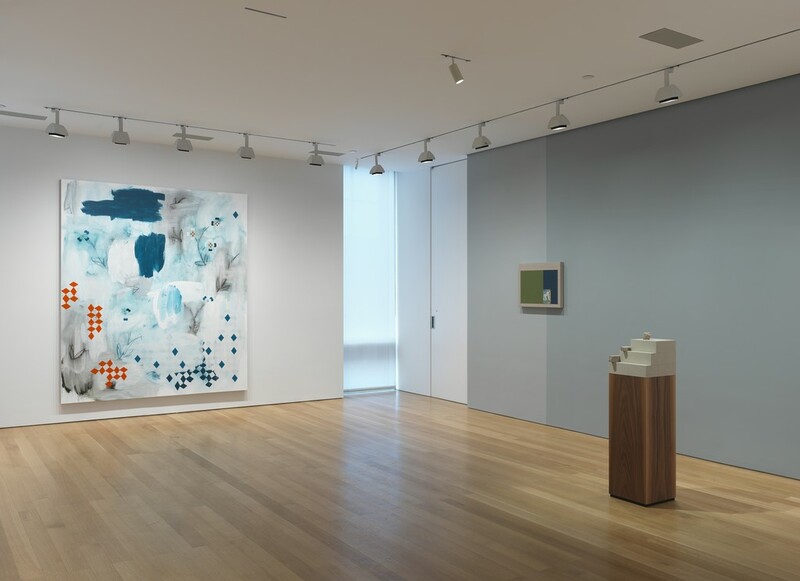 Hierarchies are disrupted, challenging the perceived boundaries between painting and object, fine and decorative art, and forming an interdependence between media and display. Using exhibition design as a unifying medium, Aram choreographs the flow of the gallery’s physical architecture through a progression of painted walls—a seemingly decorative maneuver and framing device that both articulates individual pieces in the exhibition and unites them under one overarching narrative. 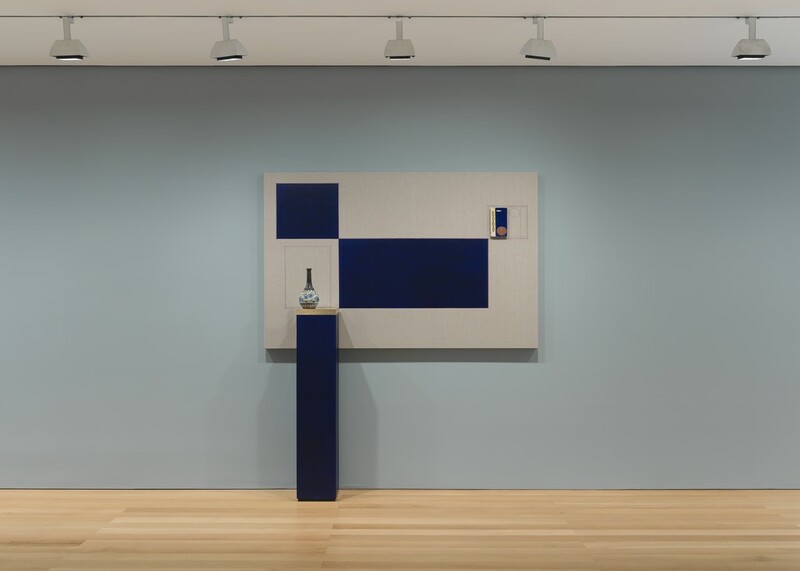 The full-gallery exhibition design expands this layering effect and extends the artist’s investigation of how display and context affect meaning.